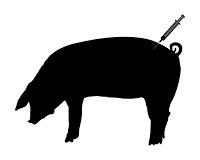 Antibiotic use on farms is a major cause of human drug resistance. Yet slick social media campaigns – funded by the multi-billion-dollar industry – are confusing and complicating the issue. Story here.